Structuring and executing debt and equity financing transactions including angel, venture capital, private equity and public offerings. Knowing what to expect from professional investors – angels, venture capitalists and private equity funds through to the public markets – is critical to securing the best financing. David brings 30 years of experience as a venture capitalist, entrepreneur, angel investor and corporate finance lawyer to help you navigate the investor landscape and land the right deal. Having the right financing partners on the best terms with the right structure is essential to your company’s growth. Too many companies waste a lot of valuable time and resources chasing the wrong financing source or having one fall through due to lack of preparation. David can help with that. 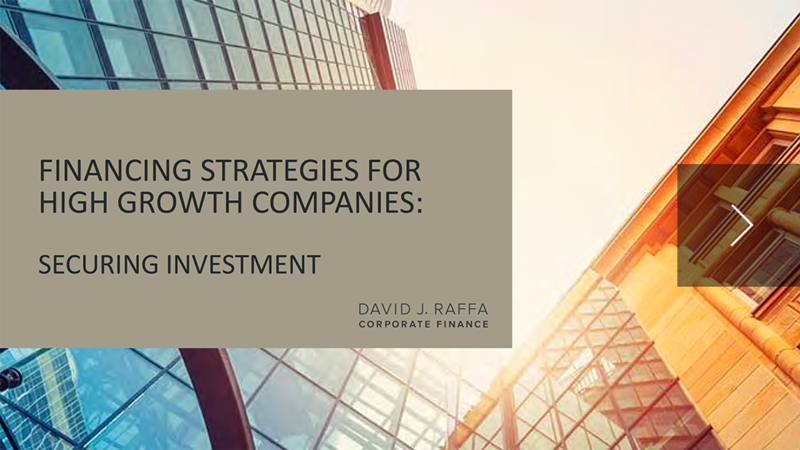 David helps you develop financing strategies to grow your business to the point where you’re ready to achieve a successful exit.